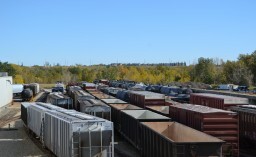 From heavy repairs to cleaning – Caltrax Inc. is a 125,000 square foot facility located next to CP Rail’s Alyth yard in Calgary, Alberta. 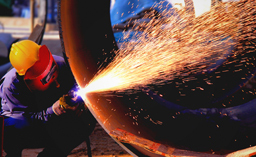 Caltrax is a one-stop shop for all repairs, service or certifications. The complement of services Caltrax can offer our customers are outlined within this section. From the moment your car arrives until the moment your car is complete and released, Caltrax will look after every detail. Our focus is on quality and safety. 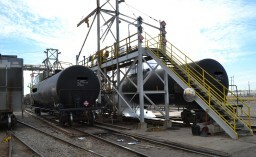 We fix, refit, repair, inspect and paint all types of railcars. CALTRAX is the only independent full service railcar repair shop in Western Canada with direct delivery from both CN and CP Rail.